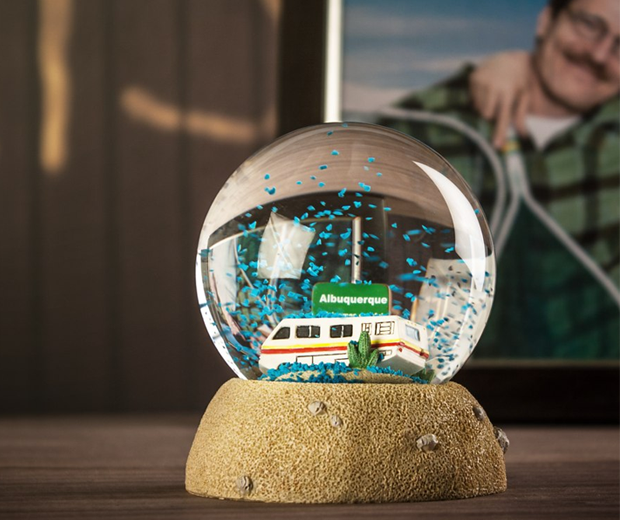 A really nice idea, the Breaking Bad snow globe snows blue crystals. 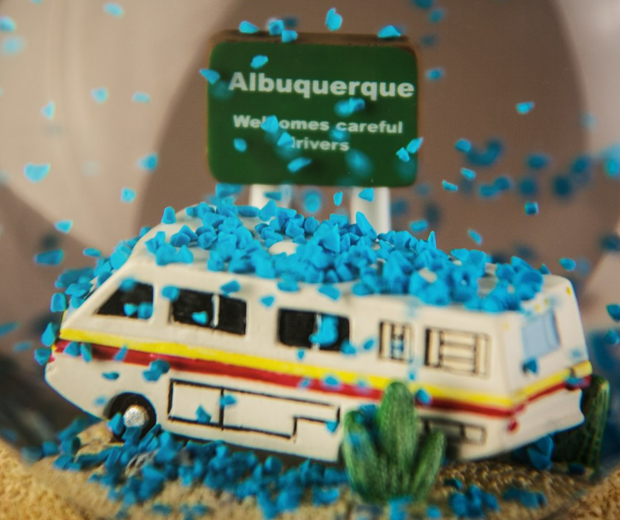 Remember the beginning, in the desert yep that's it! 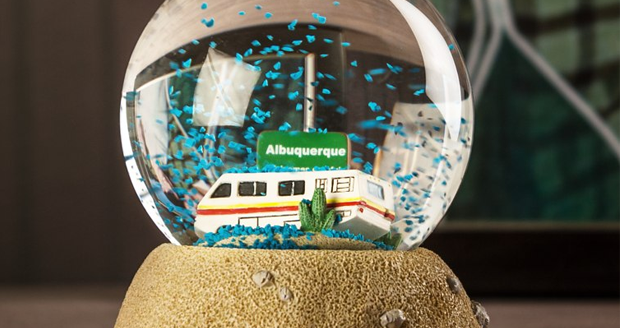 A must have for Breaking Bad fans!